Experienced Indianapolis Law Firm Representing Individual and Business Clients At Cohen Garelick & Glazier, we carry a mantle of legal achievement that goes back more than a century. Today, we are a full-service law firm providing sound legal advice to individuals and businesses throughout central Indiana. 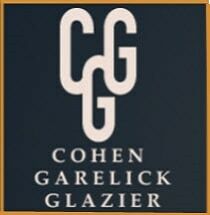 At Cohen Garelick & Glazier, we carry a mantle of legal achievement that goes back more than a century. Today, we are a full-service law firm providing sound legal advice to individuals and businesses throughout central Indiana. Our attorneys have a level and depth of experience that only comes from years of successful legal representation. Our firm and our attorneys have been widely recognized for excellence by people throughout the Indianapolis legal community. Attorneys at our firm have received numerous peer-reviewed awards. Several of our attorneys have been named Super Lawyers by Indianapolis Monthly Magazine, and are also listed in The Best Lawyers in America. In addition, our firm features attorneys who have received an AV* rating under Martindale-Hubble's peer review rating system. The diversity of skill and experience of our attorneys enables clients to turn to us for representation in any legal matter. Whether an issue is related to business matters, real estate contracts, employment, personal injury, or criminal defense, our attorneys can manage the cases from intake through resolution. In addition to legal experience, our attorneys are dedicated to serving the Greater Indianapolis community, and have received numerous awards for their service to the community and serve as officers and board and committee members to several charitable and non-profit organizations, as well as our local bar associations.